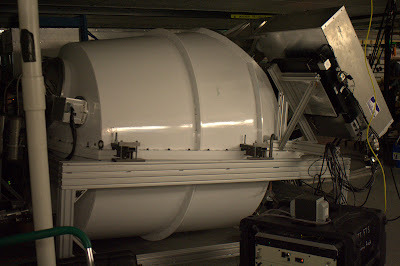 A few days ago South Pole Telescope, one of our fellow projects at pole hosted a Ladies Night, so we all went there for drinks, chocolates and ladies. They study the cosmic microwave background. 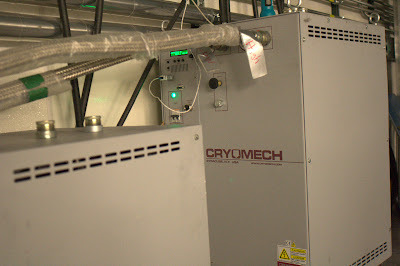 They have some pretty awesome hardware over there. 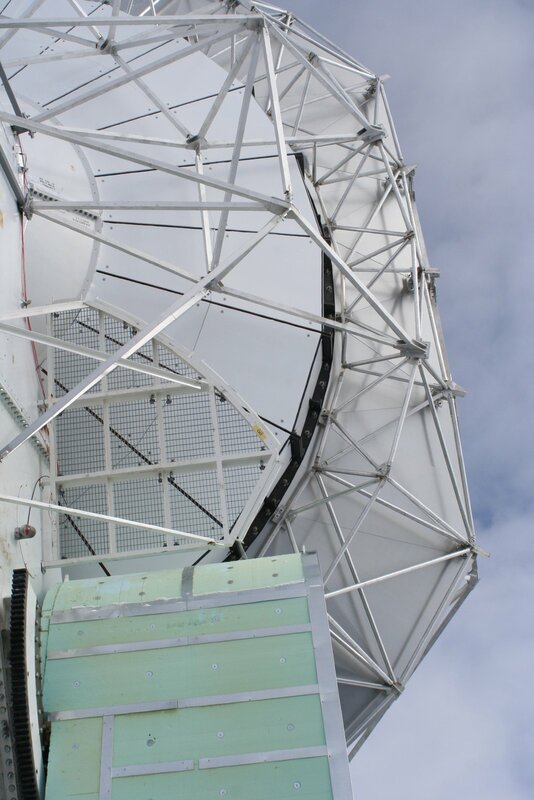 This is the 10 meter dish. 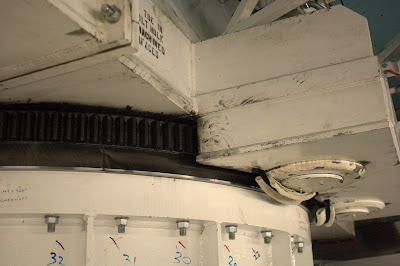 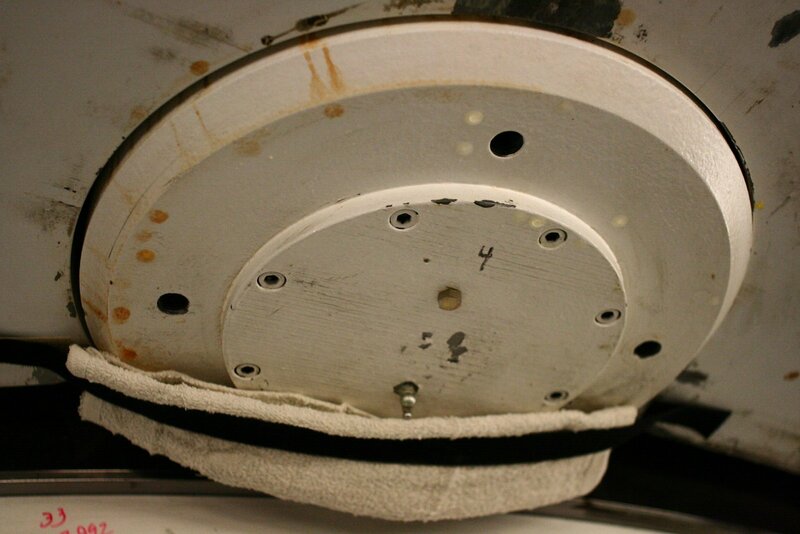 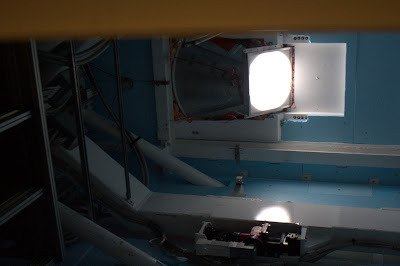 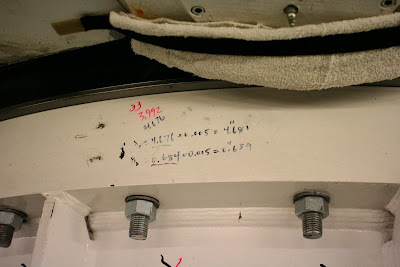 The green rectangle shroud actually docks with the building so that the cryostat, which holds the sensitive supercooled sensors that detect the microwaves can get loaded into the focal point of the dish. 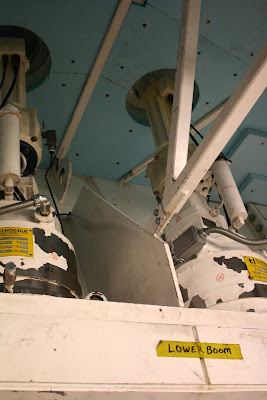 This is the cryostat, hope that is how they spell it, with the roof open. Outside view of the dish. 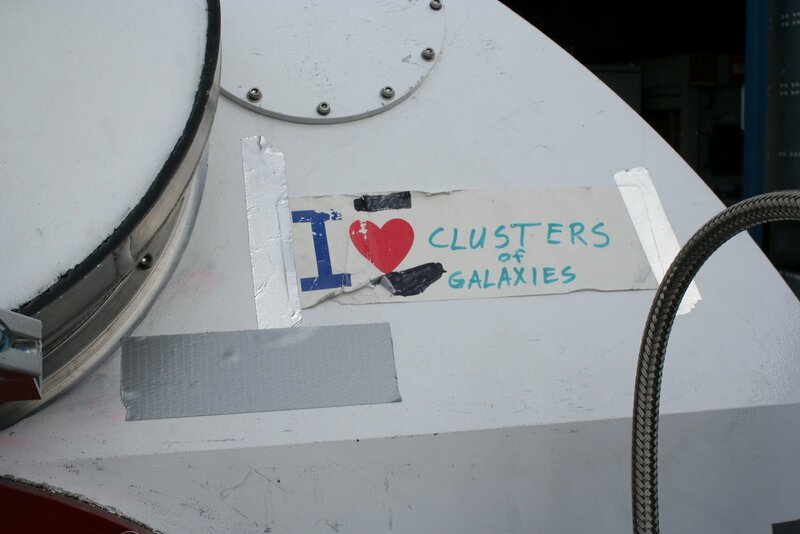 The telescope studies cluster of galaxies. This is a view under the dish itself, which weighs quite a bit and is actually sinking in the snow. 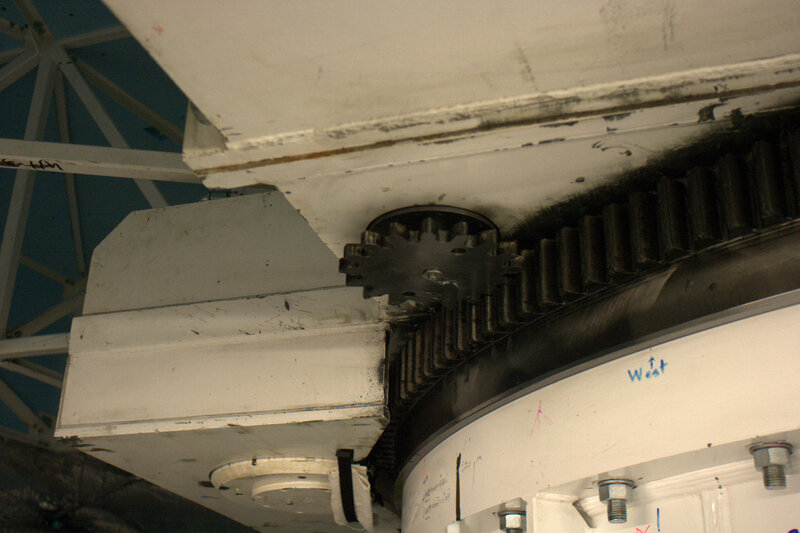 These two motors rotate the dish around. The motors are leaky, so these towels hatch some the grease and help prevent making an even bigger mess. Close up view of one of the towels. 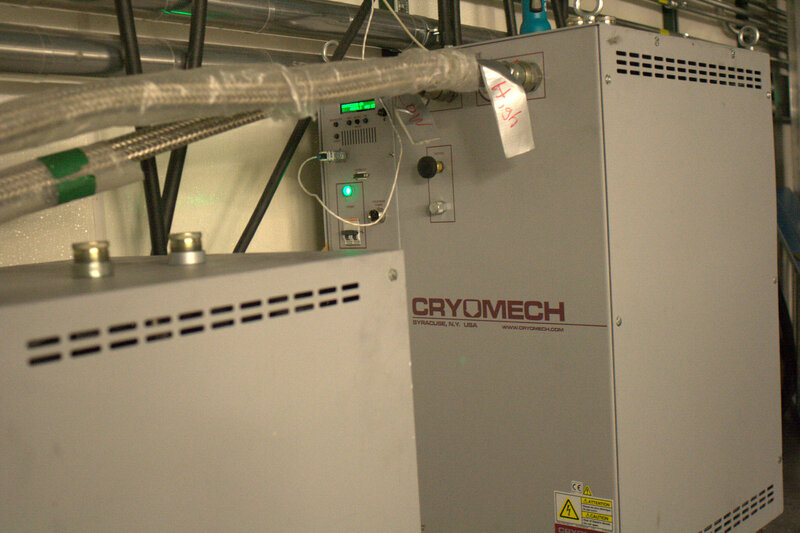 The cryo chamber and the sensor itself. 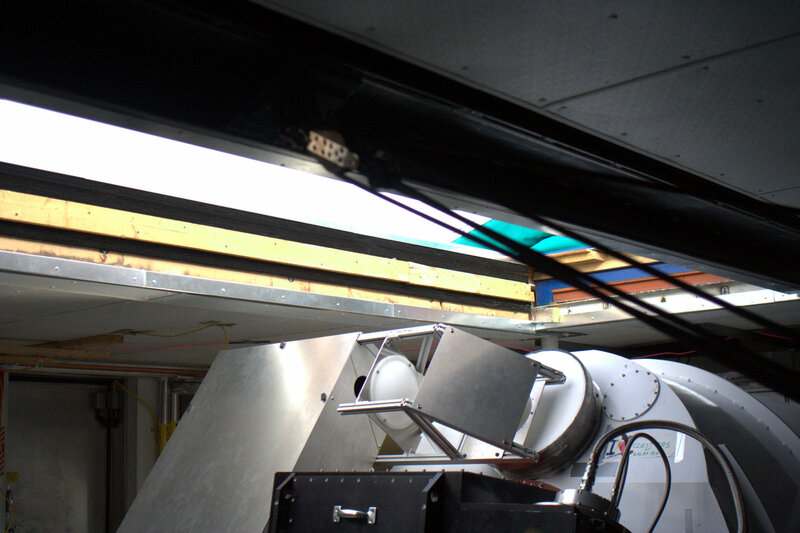 For the telescope to work, the sensor has to be cooled to just a few degrees above absolute zero. 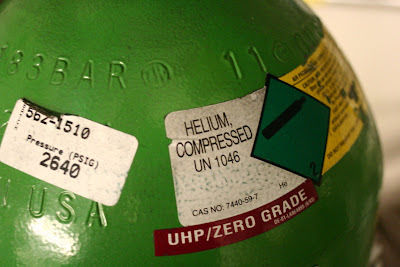 Helium is used for the cooling. A window where the microwaves pass through to the sensor.